Maybe it's because I've been spending my spare time rewatching old episodes of 30 Rock, maybe it's just because it's summer and it seems to go, but lately I've been really craving everything lemon. Therefore I thought it would only be appropriate to try my hand at a lemon flavored cocktail. It didn't take long to find one that sounded good, a blueberry lemon fizz. The recipe however wasn't as simple as I wanted it to be, and by that I mean that it included ingredients that were not readily available in my kitchen, so I altered it and sort of made up my own version. It came out pretty good, I was certainly pleased with it, and it can technically still be called a "fizz" because it has both lemon and carbonation. You also can't taste the vodka which is dangerous because it is delicious, if you don't mind my saying. I will definitely be making these again, soon. 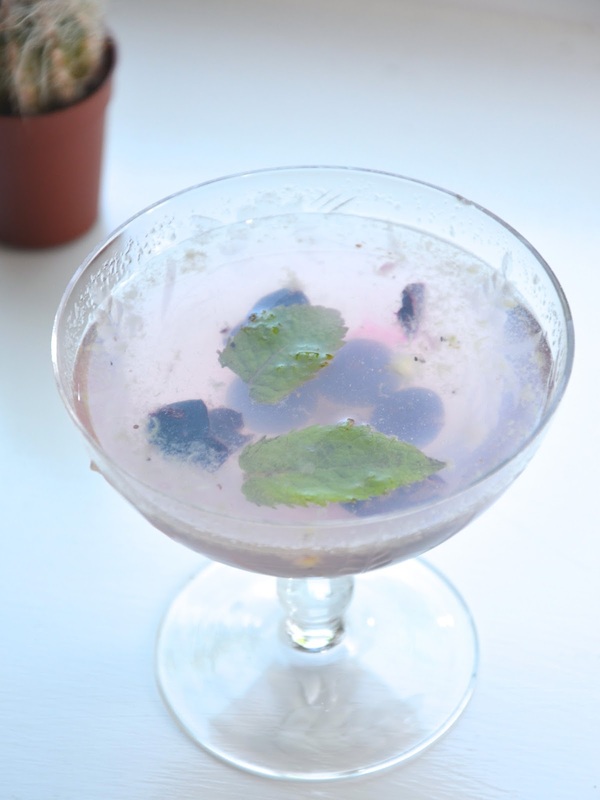 Muddle blueberries, mint, and lemon juice in a glass. Add vodka, soda water, and sugar. Stir until sugar has dissolved and pour over ice. Have a wonderful weekend and please let me know if you end up making this! This sounds delicious, planning a bbq on Sunday (depending on weather!) and have all this in the cupboard already! Seems pretty low calorie too-bonus! And, so this is going to my drink for tomorrow. Thanks for the inspo!! This looks delicious- I love that it's still a summer recipe, because I saw pumpkin beer for sale recently and freaked out. It's not fall quite yet! This looks so delish!! thanks for sharing! Not only is this drink pretty but it sounds amazing! YUM! You post the best drink recipes!! 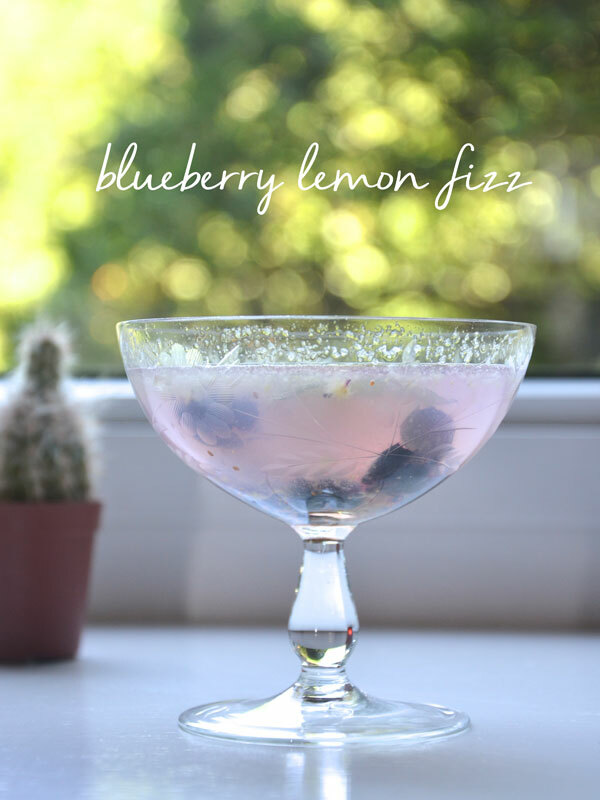 Love this pretty drink and sounds delicious! I love lemon drinks, thanks for sharing! Happy weekend! so perfect for friday night! Oh, wow! I have mint growing in my backyard so this is definitely a must try!!! This drink is super posh darling, must try it!! these sound delicious and i love the glass it's in! I think I said it once, but I'll say it again. You have the best recipes! This seems super delicious. Looks sooo yummy!!! Thank you so much for sharing! Oh this sounds right up my alley! 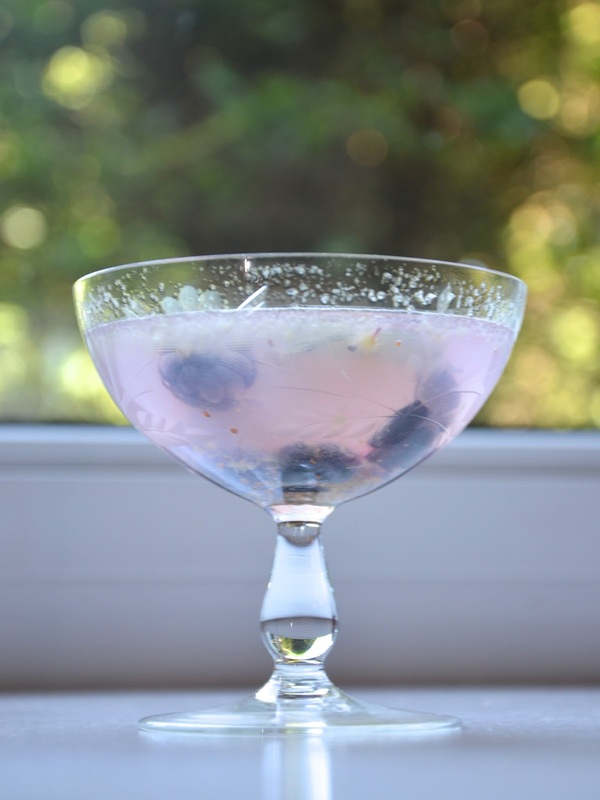 Lemon, mint and blueberries..whats not to love! Awesome post! As usual, I love this kind of drinks. Have an amazing brand new week! This looks delicious! I love fruity vodka based drinks so this is right up my alley! Mmmm, why didn't I see this before the weekend?! LOL Yum. My mouth is watering! Is it 5 o'clock yet? ?